The team at SEA CONTAINERS NZ have extensive industry knowledge in CONTAINER SALES and MODIFICATIONS, SHIPPING & LOGISTICS and related ENGINEERING/FABRICATION fields. We pride ourselves on our high level of customer service and welcome the opportunity to meet your requirements through our wide range of equipment and services. - We stock a variety of new build containers direct from overseas manufacturers. - Sizes including 2.3m(8'), 3m(10'), 6m(20') & 12m(40'). - Being direct from manufactures, new build units are supplied with current "CSC" plates making them suitable for shipping. - Customers can choose from a wide range of used shipping containers, available in various grades and sizes. - Used / Second hand containers, depending on grade can be supplied with current "CSC" plates making these units a great cost effective option for household removal, coastal transport, or short term international transport. - SEA CONTAINERS NZ are able to Hire/lease new and used shipping containers. Min Term of 30 days applies. - SEA CONTAINERS NZ have partnered with a leader in the steel manufacturing industry to provide high end shipping container modifications at competitive prices. - Whether it's a simple addition of a shelving system, through to a mobile office/workshop, or a Chemical (DG) suitable modification SEA CONTAINERS NZ have the highly experienced, qualified team to deliver. 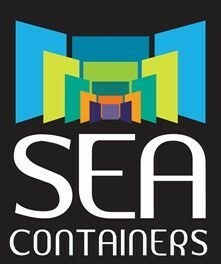 * SEA CONTAINERS NZ also offers competitive nationwide transport.